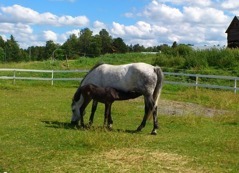 Håtunalab AB produces and provides plasma intended for weak foals. The plasma is sold in practical plastic bottles. Along with the plasma we also provide a so called “Foal-check” which will aid in quickly assessing the foals IgG-levels. 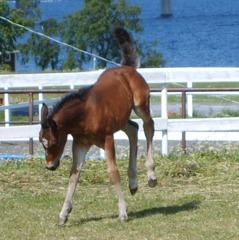 The “Foal-check” test can also be bought individually. Infusion sets accompanies the plasma without charge. When producing the plasma we only use blood from universal donor geldings. Thus the risk of negative reactions in the foal is minimized. 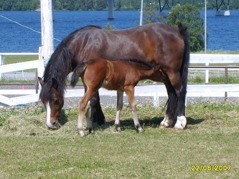 The donor geldings are also part of a strict vaccine-program against influenza A2, tetanus and botulism. 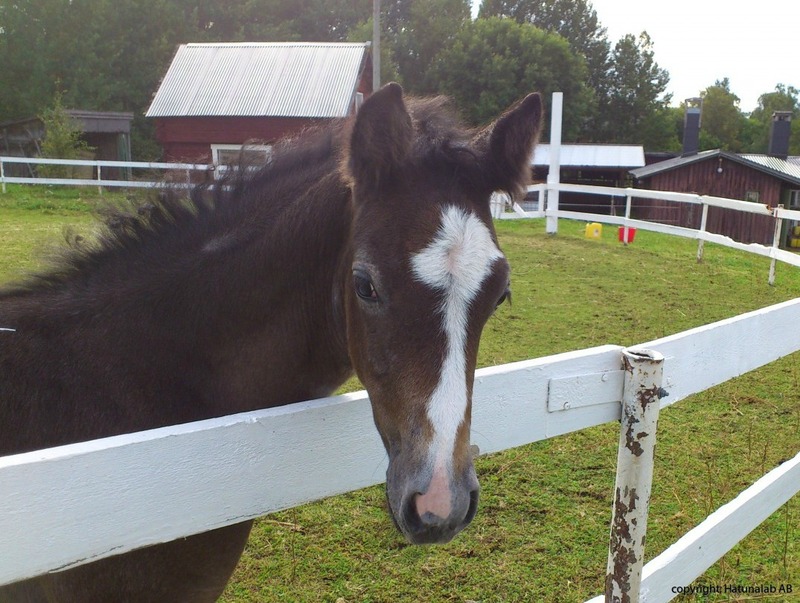 When to use plasma for your foal? 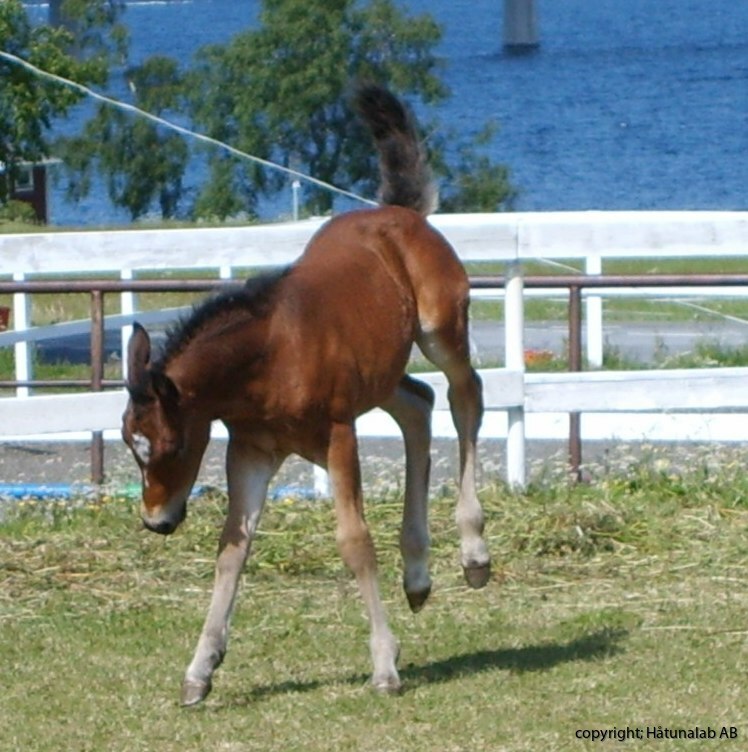 Håtunalab AB´s plasma for foals is mainly used for foals with low levels of anybodies (IgG), resulting from flaws in colostrums intake. The plasma can also be used for foals unallowed to nurse due to the risk of neonatal isoerythrolysis. This life threatening decease can occur if the foal does not share it´s mother’s blood type. 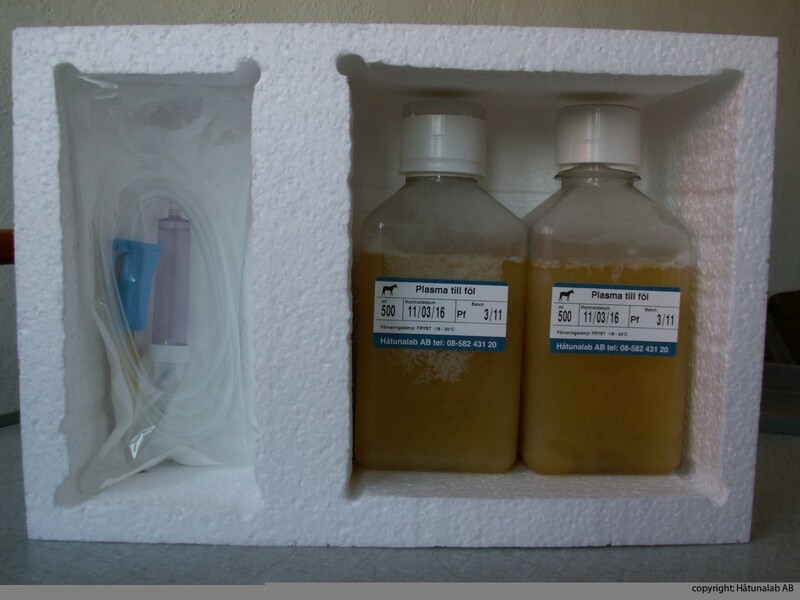 The mare´s colostrum may, in this case, contain antibodies that will break down the foals own blood. 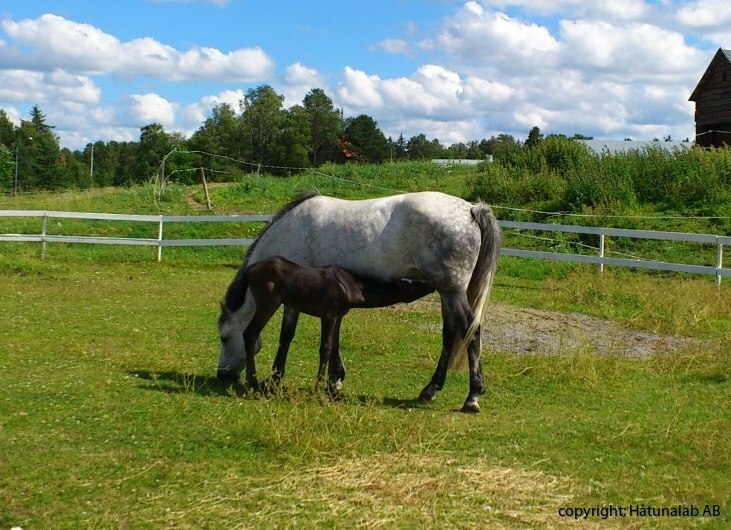 To save the foal, a muzzle can be fitted on the foal and the mare´s colostrums milked and thrown away. The plasma for foals can be used to compensate for the unusable colostrums, thus giving the foal a chance for a good future. 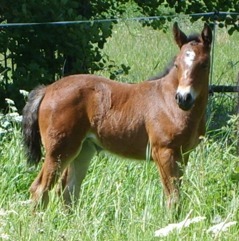 The plasma for foals can also be used when a foal is suffering from Rotavirus. In case of such infection the plasma can be given orally to provide a local protection with specific antibodies in the intestine.